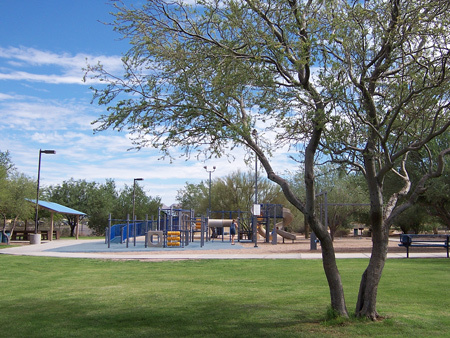 In addition to the baseball and soccer fields, playground, picnic ramadas and a golf course, Arthur Pack Regional Park offers a network of trails for hikers, mountain bikers, equestrians and trail runners. Used as a training and race course for the Mountain View High School cross country team, the 4.7 miles of trails offer gentle grades and a surprisingly remote feeling experience for a suburban park. Trails are well suited for beginning mountain bicyclists and hand cycles.